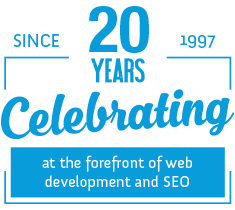 Freetimers is a Professional Full-Service Web Design, Development, Programming and Online Marketing Digital Agency, dedicated to the success of our clients. Our business is helping you build yours. We work with you as a Partner you can trust, with a huge wealth of specialist knowledge and experience at your disposal. With us you get a first class managed service for everything your Web Presence may require, enabling you to concentrate on your business. We offer a comprehensive range of services, the most important of which are listed below. These are not all we offer however, so if you don't see below the service you are looking for, we still probably do it. Don't hesitate to contact us on 01604 638421. We can help you make the most of your brand and business identity, online and offline. Want to sell online or update your shop? We do it all, simple and complex, successful sites. Selling on website, Ebay, Amazon and Google Base using one system! Imagine the time saved! Going mobile? The huge increases in mobile internet use means you should be considering it! All websites need support from time to time. Freetimers sees quality support for our clients as a priority. We can design for you a first class responsive website that will enhance your brand and help build your business. Quality hosting and domain managed services, to suit any business where ever it is in its evolution. We can cater for all your design requirements in addition to branding, logo design and website design.